We live in an age where the pickup truck market spreads across all social classes, incomes, and occupations. Long gone are the days where your only option was a pickup with a bench seat, crank windows and a Fred Flintstone suspension. 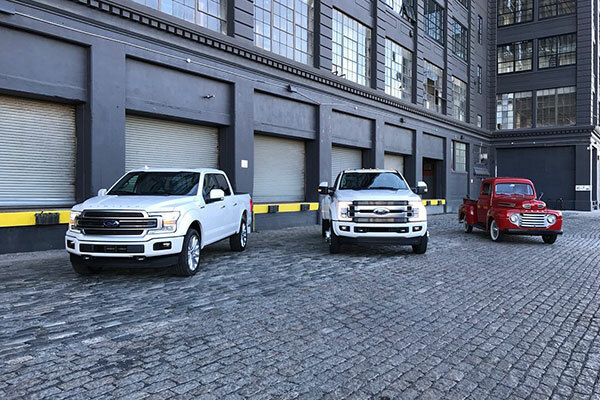 Although you can still get a bare bones Ford F-250 Super Duty with the above mentioned traits for $33,000, you can now flirt with a $100,000 Ford F-450 as well when fully optioned out. All three models will come with one engine option, the honking 6.7-liter Power Stroke turbo-diesel. 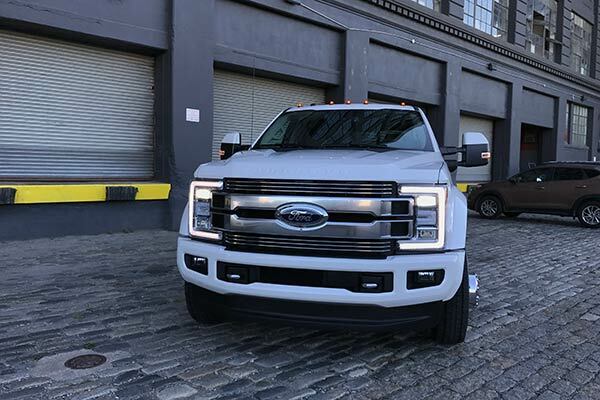 To refresh your memory, the Power Stroke produces 440 horsepower and 925 lb-ft of torque, allowing the F-450 to tow 32,500 pounds when configured appropriately. It is also worth mentioning that the F-450 has a 7,600 pound payload capacity. Keep in mind, a Chevy Suburban weighs 5,822 pounds. 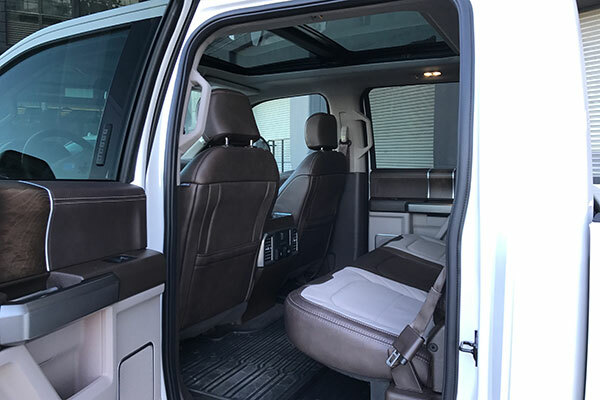 Focusing on the Limited's interior features, customers will be greeted with a suede roof, stitched leather seats and dash, wood trim, a Limited-exclusive decal on the arm rest displaying the VIN and production number of the truck, heated and ventilated seats and much more. 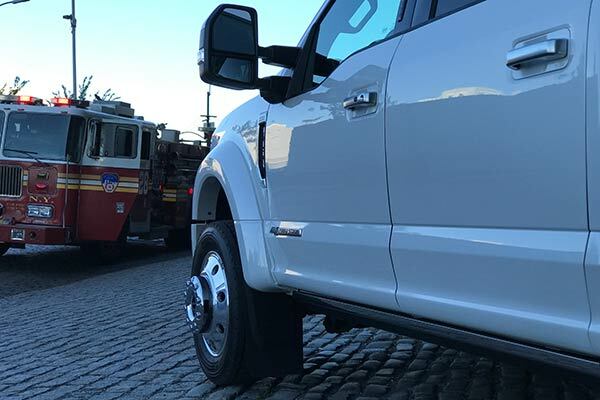 In order to maintain a sleek profile, all Limited trim Super Duties have automatic running boards that quickly slide into place when a door is opened. 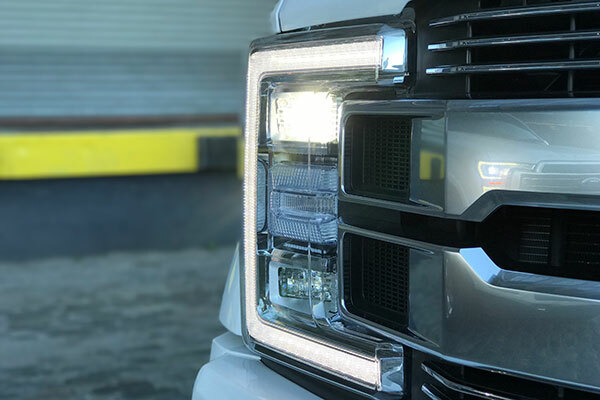 Todd Eckert, Ford Truck group marketing manager said, "We created this new truck to answer the call for even more premium choices in the Super Duty range as we see more and more truck customers trending to more premium options." This isn't a surprising comment from Eckert as Ford sees 40 percent of its annual profit through its truck sales and the F-Series is the number one selling vehicle line up in U.S. households making over $200,000 a year. If you spend just a few minutes reading the comments on articles and videos about the upper trim F-Series trucks, you will see many people appear to be against them, however we don't see any issue with broadening the F-Series reach through luxury amenities. 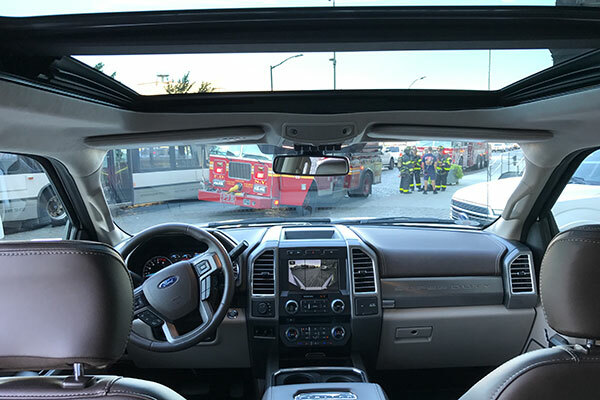 Just because the truck has 360 degree HD cameras and ventilated seats, that does not mean it is any less of a truck nor does it mean that particular model does come in a "work truck" version. Yes, a $100,000 truck is certainly more expensive that anyone would hope, but we know successful contractors, rangers, welders and the RV community will splurge for them. Theoretically, there shouldn't be a difference in spending $100,000 on a Land Rover versus a F-450 is the customer is getting the same sense of satisfaction out of the purchase. Personally, if I were to throw $100,000 into a car, I would be more inclined to do so towards a vehicle I could use for business, pleasure and everything in between. Is a $100,000 truck ridiculous? Yes it is, but that does not mean it shouldn't be offered to willing customers. As long as you have an option to buy a cheaper trim, why not offer a $100,000 version? If John Hammond ever calls and asks you to haul a dinosaur, you'll be set.